Location: The Veteran Weather Station is situated approximately 7 kilometres North East of Gympie, in Queensland, Australia. Gympie is known as "Queensland's Golden City" following Queensland's first gold rush in 1867. 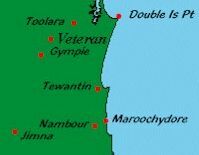 Today Gympie is the major provincial city of the Cooloola region and serves a population of 60 000. Gympie is located on the Mary River, 160 kilometres north of Brisbane via the Bruce Highway. Gympie is the gateway to the Cooloola Region, featuring Cooloola Coast, Cooloola National Park and Fraser Island as well as the Mary Valley with State Forest Parks, Lake Borumba and the rural Kilkivan Shire. Major annual events include the Gympie Show in May, the National Country Music Muster in August, the Goldrush Festival in October, Cooloola Seafood and Leisure Festival in June, Kilkivan Great Horse Ride in April and the Rainbow Beach Fishing Classic in July. Major industries include food and timber processing, retail and service industries, fruit and vegetable production, Gold mining and tourism. The Veteran Weather Station is a Virtual (Real-time) Station which continually updates and posts meteorological data to the web. The Weather station is a Huger WM918 with the addition of commercial sensing and recording equipment which download to a web-server. The Database continually updates automatically every 10 minutes, giving a permanent historical record of weather events. The Yearly Excel Database is maintained and updated manually from the records contained in the automatic station data, these records have been kept on this site daily since January 1998. 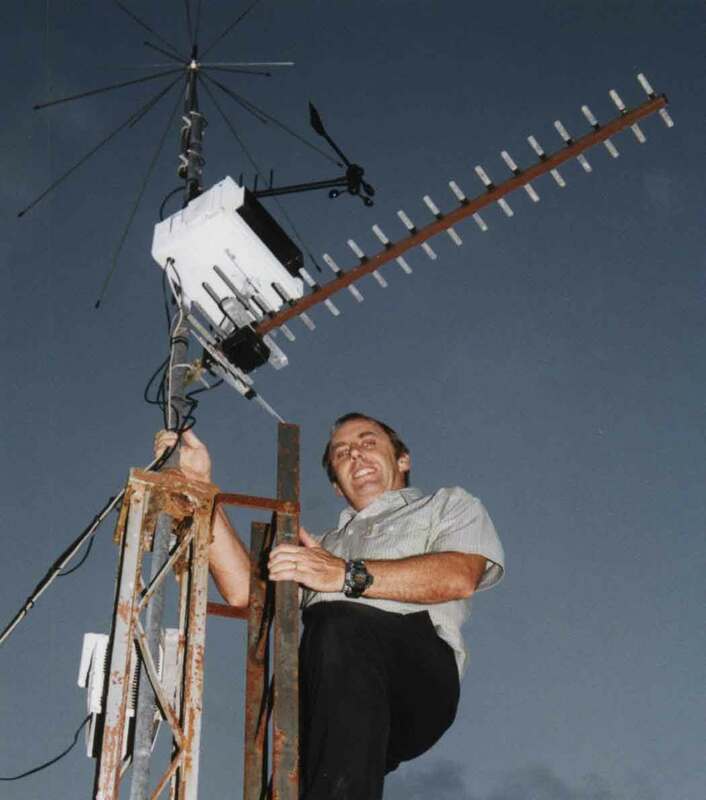 The Equipment used in obtaining accurate weather data consist of a WM-918 Weather station with all the modifications as described in the schematics. A 200mm/8 inch 'RIMCO' tipping bucket automatic rain gauge.� Hygrometer, Barometer and thermometer housed in a Stevenson Screen. Disclaimer: Do not base any important decisions on any information that you may receive from this site. Weather data from this site is a representation of current and past conditions in this local area and includes links to other sites.Do not use this information for emergency situations. In emergencies, please refer to the Bureau of Meteorology warning page: http://www.bom.gov.au/weather/warnings.shtml.